IJoy company presents an extremely stylish vaping device, which is ready to excite any vaper. 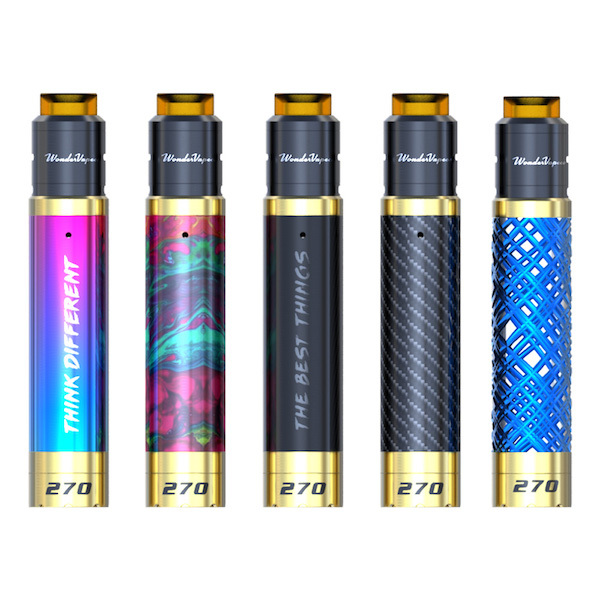 The Wondervape 270 Mech is an all-in-one style device with a unique design. There are 5 colorful interchangeable sleeves giving an opportunity to customize the design of your device. Each of them looks extraordinary and amazing. You can select rainbow, black, carbon fiber, resin or blue finish. A bright design of these sleeves will bring colors to your everyday vaping experience. Besides, the IJoy Wondervape 270 Mech Kit is not only attractively looking but at the same time is easy in use. It makes the device suitable even for most inexperienced vapers. 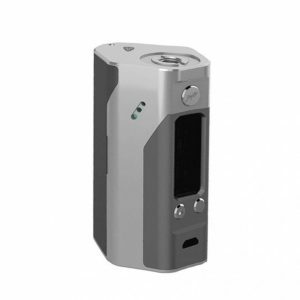 The iJoy Wondervape Mech kit features a spin&press structure fire button. It allows easy and convenient battery replacement. The kit gets power from a 20700 battery. It improves the device performance to provide a great long-lasting vaping experience. Also, you can use 18650 battery with the adapter. By the way, the iJoy kit comes with a Wondervape RDA. This atomizer has a dual post build deck, which ensures easy building. You can install single or dual coils. As well, the Wondervape 270 Mech features the side and bottom adjustable airflow control system. 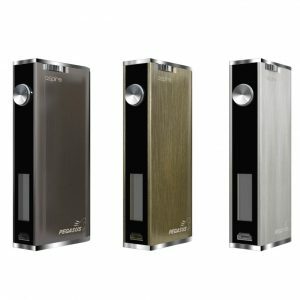 Such airflow technology enhances the iJoy kit performance. 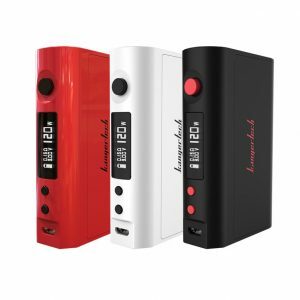 In sum, if you are searching for a fashionable bright all-in-one style vaping device, the Wondervape Mech Kit by iJoy worth considering about. It will provide you easy operation and enjoyable vaping. Give this creatively designed kit a try!